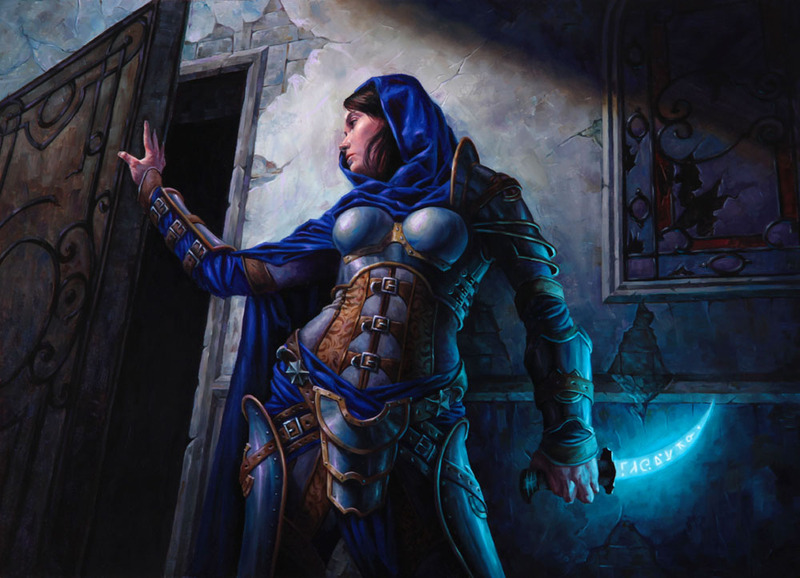 This painting just got previewed today by Wizards. It is from the new Return to Ravnica block of cards, I have one more coming out in this set as well. Original is oil on paper on board 16" by 22" and will most likely be on display at Illuxcon. For anyone in the Los Angeles area: I will be at Comikaze this weekend, table 716 near the Magic tournaments. Looks fantastic! Great work, i love it! Grats! Great piece! I really like the lighting setup.